Hi! 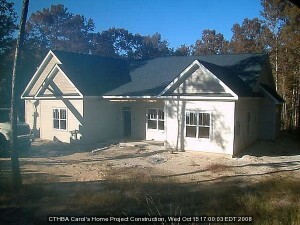 I wanted to update all of our Carol’s Home supporters on the progress of this great project. Right now, the sheetrock is being delivered compliments of Dolphin Architects and Builders and STOCK Building Supply. What an awesome donation! In the next few days, Kirk and his crew from Lowcountry Drywall will be out there hanging it. After that… it’s trim, cabinets, flooring and so much more.